Welcome to the new challenge! 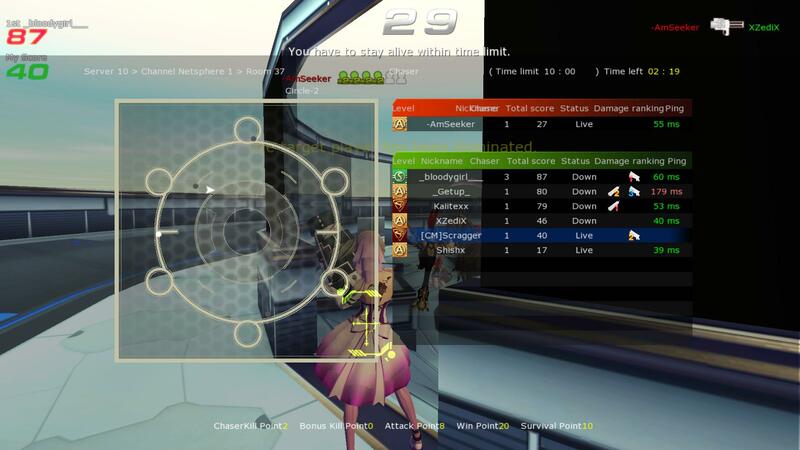 Last week you fought as Chaser or against the Chaser for some hours. Now you have to play for Points. In case you've never competed before, here is how it works: [Guide] Weekly Challenges! 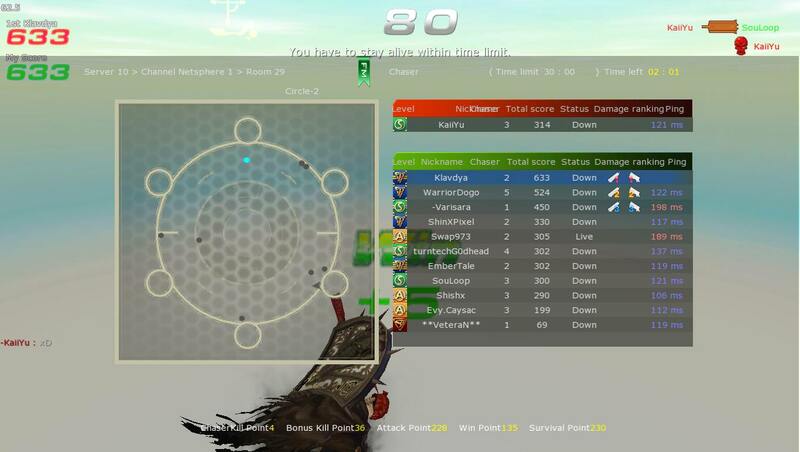 Please note that screenshot must be taken directly from the match (TAB Screen). To take a screenshot press F12 key, after taking your screenshot it will be sent to the game folder. Screenshots taken from the end result screen will not be accepted. This would not qualify me for the Regular Tier but you know that this is a sample screenshot now! This week's challenge will go from the 20.07.2018 until the 26.07.2018. - You are not allowed to edit your screenshot or to send old screenshots. so we doing room title : event free score? There is only one map where such score for the final tier is achievable in a legal way. I'd say there are at least two; Circle and BlockBuster. But no one ever plays BlockBuster. And with the broken Rail Gun this event must be done in OS. Meh. Well, you can do it in circle but need to have some very bad chasers. With the rail around it may not be as hard to push them out but still. I think the rewards should be more :l like 600 is hard to get legit. please either lower the requirements or up the rewards. 2. If you don't like it then don't participate and upload some AP. Easy as that. Railgun only blockbuster should do the trick if you're trying for the event legit, last time I got 1000 points (tho there were a lot of farmers due to the event). Circle is harder since chasers can choose to stick to the middle of the map and waste a lot of time. Yeah, but back then the even was just for playing so most of the points came from afk chasers. 600 will be still possible but only on that map. 3- Well that is your problem. Aeria Games is still a company. They don't have to make events at all and because many people wanted the weekly challenges back you got em back so be happy with it. The thing is, the any of the other events are more rewarding and even easier to do. Today I haven't seen a single Chaser unlimited room made for the event. There was one that was 10 mins duration and another one where ppl where friendling all the time. Well I guess you mean in game events. Easier? 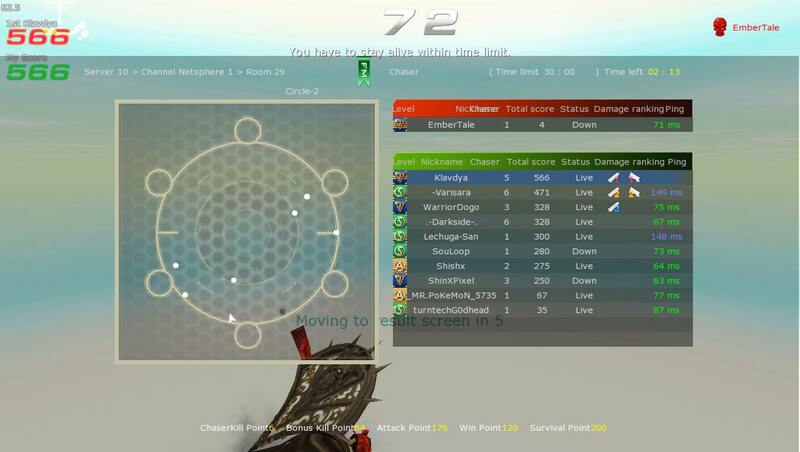 Well sure 600 points in a Chaser game isn't easy but 400 is well possible. If you aim for 600 points in a legit way most players just gonna give up and farm it. Thats how it works because you want the highest reward possible right? So in the end 30mins farming (5 caps + 50k pen) is actually much less than the weekend events with 3h (max reward 6 caps + 70k pen). Let's say that I'm not farming this, im entering in a room wehre ppl re afk and I get my 600 p, it would be legit? well when a game has a rule or a policy or what ever you call it of no farming and make events that hard,that players have to farm then that is amazing. Scragger Heiliger Does this count for this weekly challenge? I did them this night on 22july. so is not old. Nope. It is amazing that this game has no ingame moderation at all. It is like already mentioned a challenge not give away. If it would be easy I wouldn't call it a challenge in the first place. If you don't reach the 600p you would still get stuff for 400p or 200p. It is not like you would get nothing but people are too greedy. If they would only give away the 200p Regular Tier people would also farm that. Just a example in the character creation event I honestly don't think your entry is serious at all but you get at least 2 caps right? I'm sure if you would spend more time on it it would look better. And heal assist doesn't count. Is mentioned in the first post tho. 1- I didn't say it has to be a giveaway it can still be a challenge getting 500 p or 550 or it can be the same 600 but increase the rewards allittle. Didn't recieve any rewards, even if I spent 3+ hours on this event. What we do now?